The family of the late Minister Mentor Lee Kuan Yew has published an ad across several newspapers in Singapore thanking the public for the respect they have showed the family and the late minister during his passing. 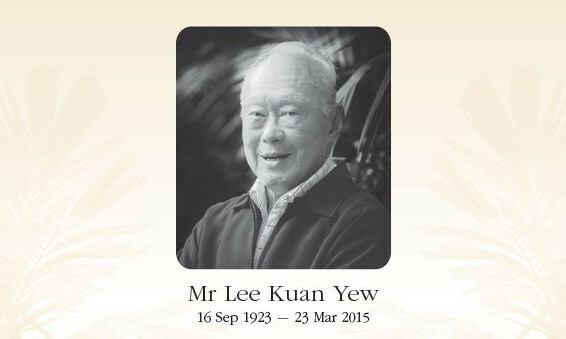 The ad ran on the 23 April marking the one month of passing of minister Lee. The text also added that the family is immensely grateful to his medical and security teams and his office and home staff. Here’s a link to the add on The Straits Times. During his passing, several local companies and international brands also showed their condolences by grey scaling their logos. Ad agency Tribal Worldwide also created a digital installation from tweets on LKY. Meanwhile Googstuph also worked together with OIC Singapore to create a library of LKY art, free to use, strictly for non-commercial usage.